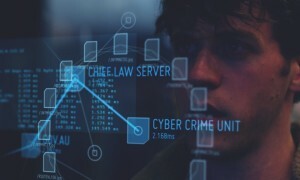 The second series of the Canberra hacker/political drama replaces Lucy Lawless and David Wenham from the first series with Sigrid Thornton (as a cybersecurity agent) and Anthony LaPaglia (in a new plot based from West Papua) and gives the brothers (played by Ashley Zuckerman and Dan Spielman) a father (Geoff Morrell) to explain more about their family life. Lots loved the first series and it’s great to see Canberra really taking off as a viable and stylish TV location. After being a staple on the Comedy Channel, this animated adult sci-fi series makes it to free-to-air. Created by Community’s Dan Harmon for Adult Swim, it’s about the adventures of an alcoholic scientist and his reluctant grandson. Harmon describes the inter-dimensional plots mashed up with family issues drama as a cross between The Simpsons and Futurama. ABC are currently repeating the first season of this fantastic UK comedy which successfully straddles a razor-thin line between caustic humour and incredibly sweet and endearing character moments. It’s the most human show on TV in years. This week, the now heavily-pregnant Sharon deals with her (completely awful) old friend from Ireland who she asks to be her maid of honour. Her friends life is going off the rails. Hilarity and a head injury soon follow. This French/British bilingual remake of The Bridge relocated the main drama to the middle of the Channel Train tunnel on the border between the two countries. As it now goes off into its own original story for a second series (just as the American remake of The Bridge did), a couple goes missing from the train while up above in the English channel, a plane crashes after being hacked.